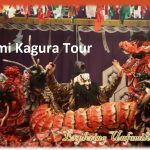 Amongst famous Japanese traditional performing arts like Kabuki and Noh, Kagura is the oldest with its origin in ancient Japanese mythology. 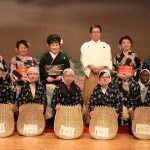 It was originally offered to shinto deities to welcome and entertain them, and performed only by shinto priests and miko at shinto shrines thanking and praying for abundant crop and bumper, however, it has become widely common for the public to be enjoyed with. 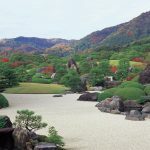 Especially in the eastern Shimane, where is referred to as the Iwami region, it is called “Iwami Kagura” and very popular for containing entertaining features, such as use of sound and visual effects so that the performance can be better understood for the audience. The series of performances usually starts with a ritualistic dance to welcome the deities, and then entertaining performances follows. 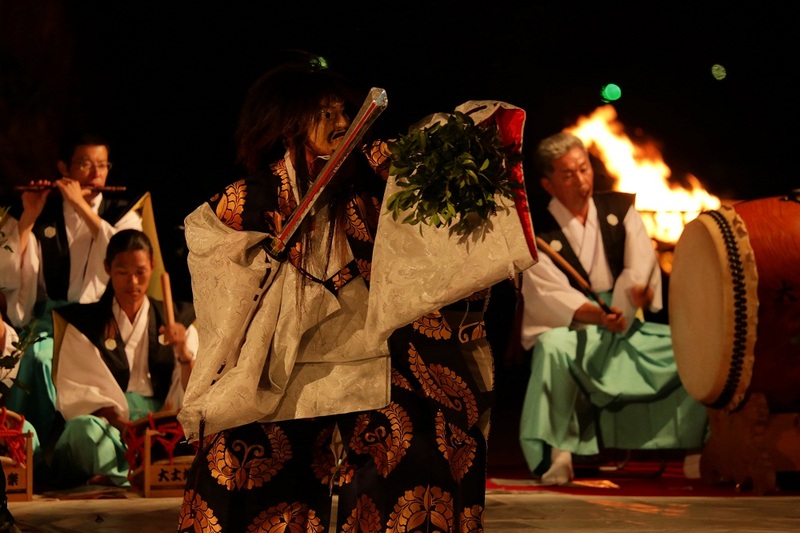 Performers dressed up in gorgeous costumes dance to the rhythmical sounds made by traditional Japanese instruments. 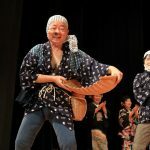 There are varieties of about thirty programs, and performers play deities, demons, and sometimes humans who appear in ancient Japanese mythology. Among them, “Orochi” can be said as the most popular. This program is about a heroic deity Susano-o slaying an evil serpent called Yamata-no-orochi and save Princes Inada. The serpent had eight heads and eight tails and its body was long enough to cover eight peaks and valleys. 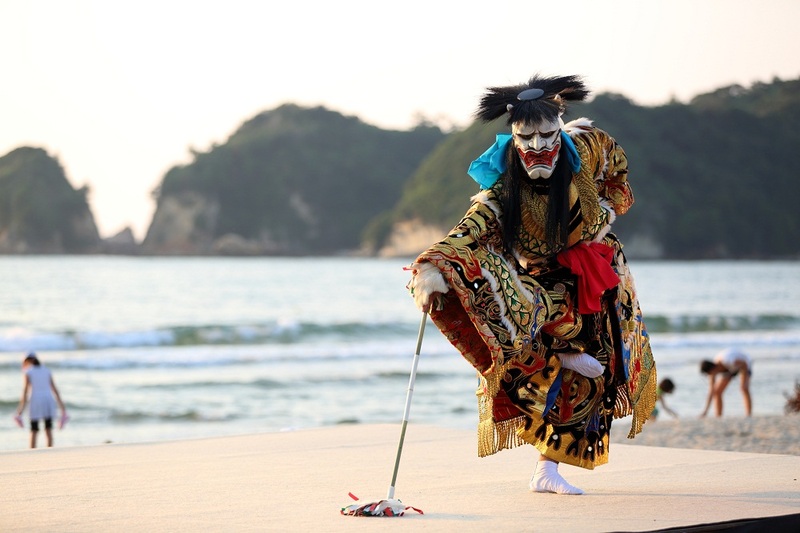 This is the special version of Kagura, which is performed on the beach. 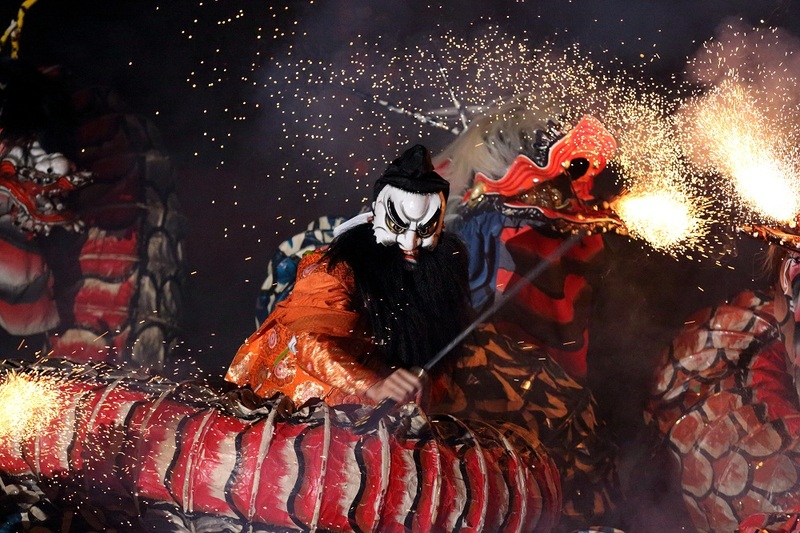 It is called “Umi (the Sea) Kagura” and take place on August 13th every year. The highlight of the day comes along the dark when they dance with the settling sun on their back. Bonfires are lit, and it makes the ritual dances even more mysterious. Two 30-40 min performances (11am~ and 1:30pm~). 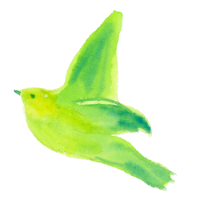 EXPLORE more into Iwami area ! 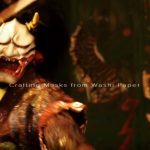 IWAMI KAGURA – Three new videos are released on Youtube!